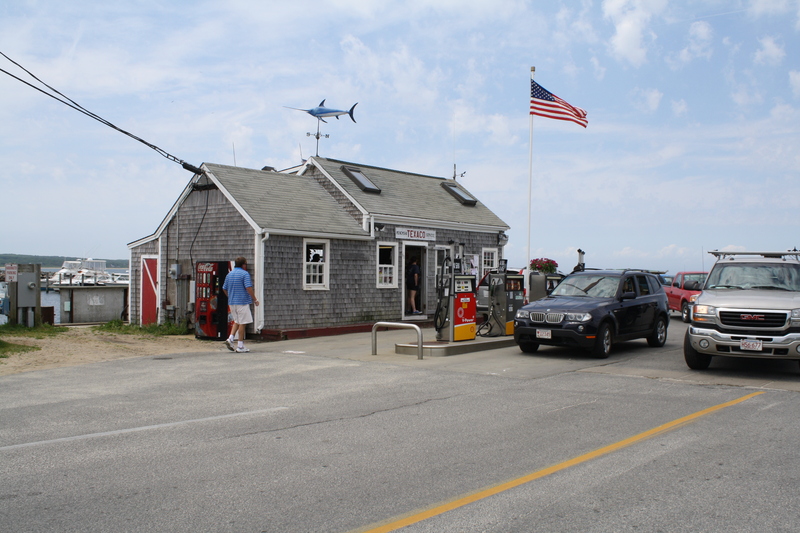 Every year my family takes a vacation-y trip to the great island of Martha’s Vineyard. We stay in a house together, we hang out at the beach, we take long walks and we cook family dinners. 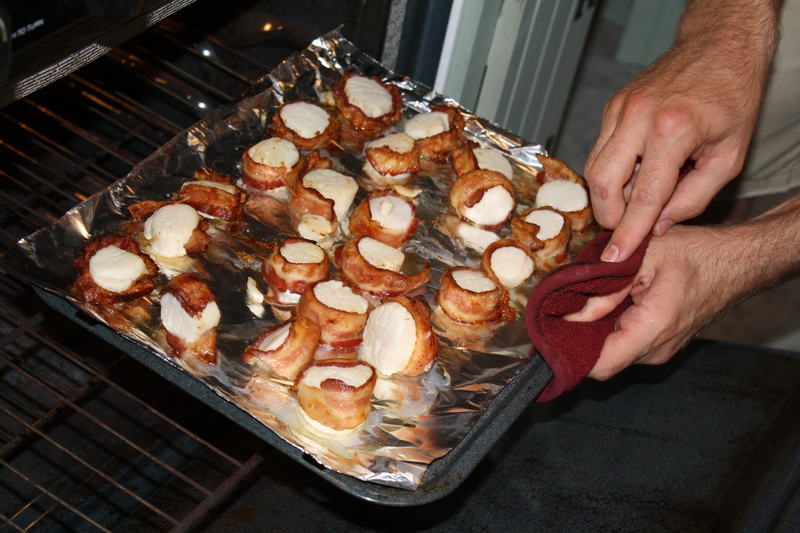 On the ride down, M had the phenomenal idea to make bacon wrapped scallops for everyone. 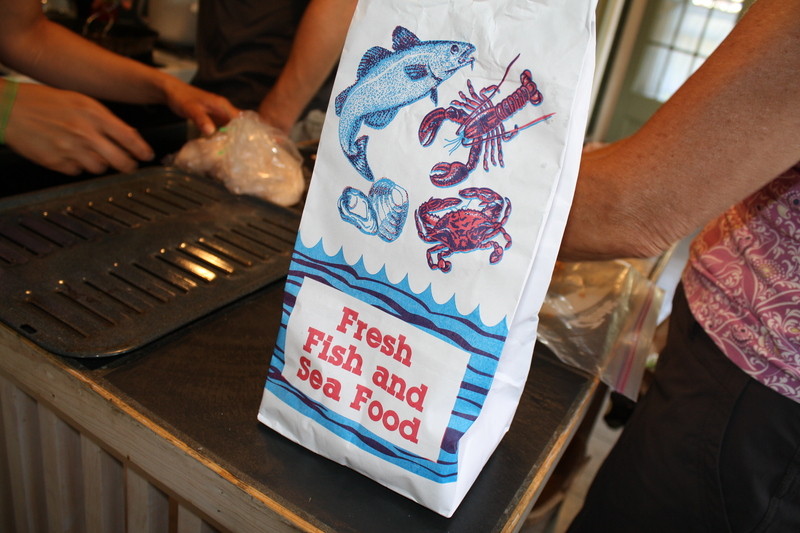 We’d never made them before, but we figured an island was the best place to give it a try! 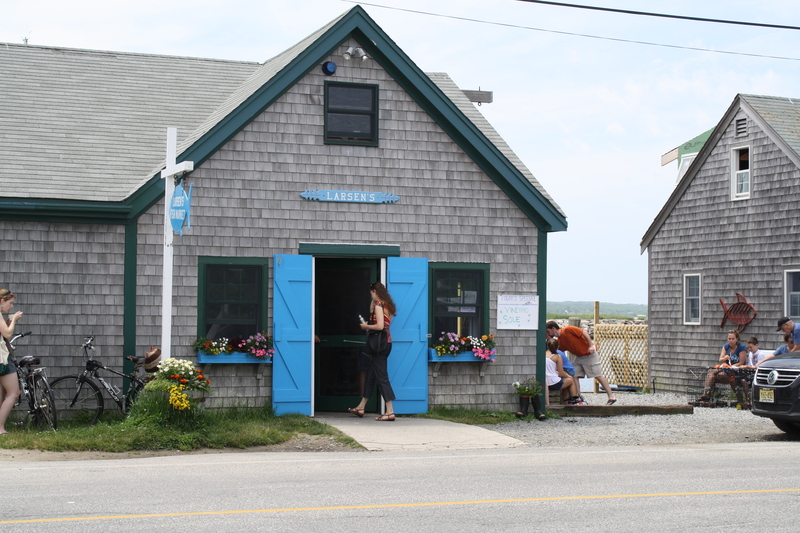 Our Island travels took us to Menemsha. 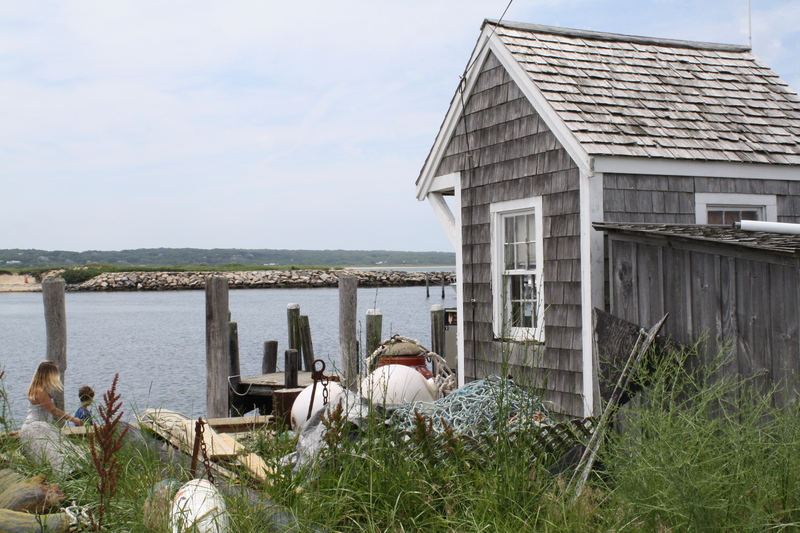 Menemsha is a little fishing town on the far side of the island. Much less touristy than other spots. 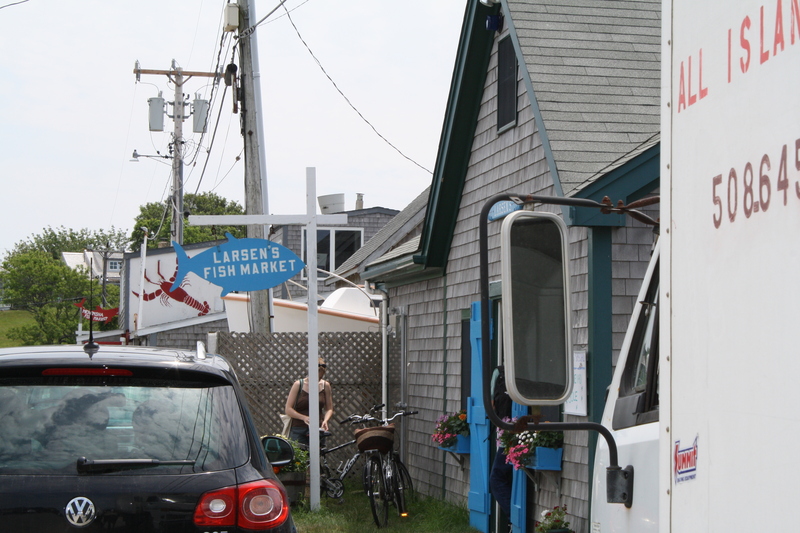 and a little place called Larsen’s Fish Market, which just so happens to be an amazing place to get the seafoods. 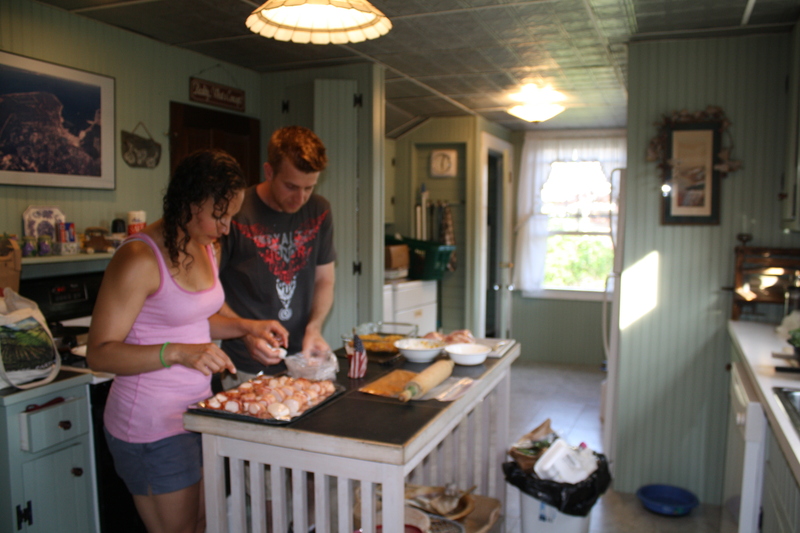 We popped in and bought some fresh scallops to make for an appetizer for dinner that night. We started by frying the bacon. 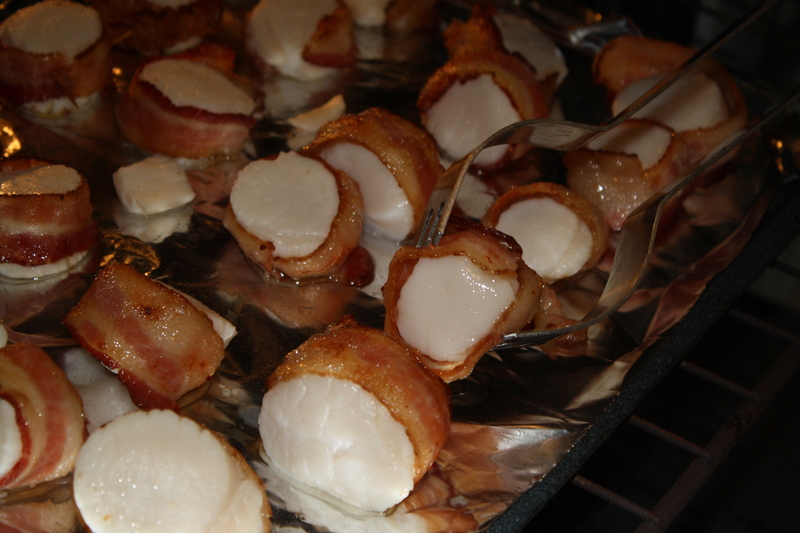 You can wrap the scallops in raw bacon, but we wanted it to be on the crispier side, so we opted to cook it a little first. 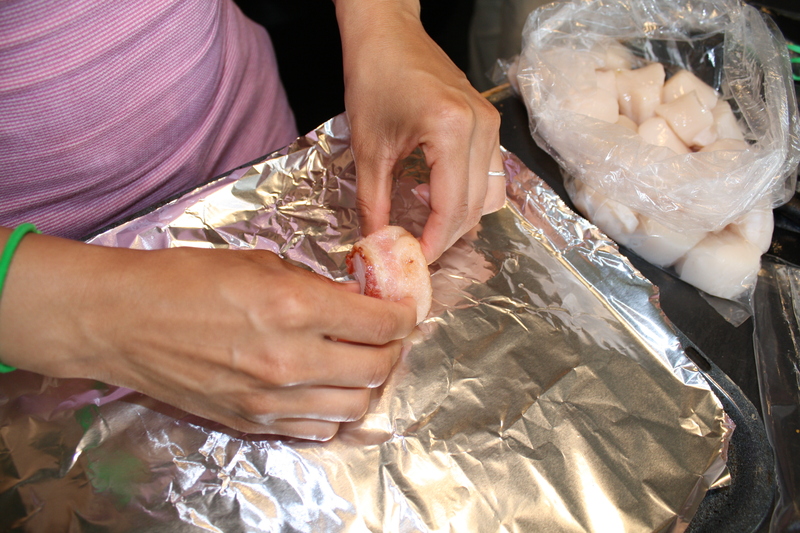 Then we wrapped the scallops. and wrapping. 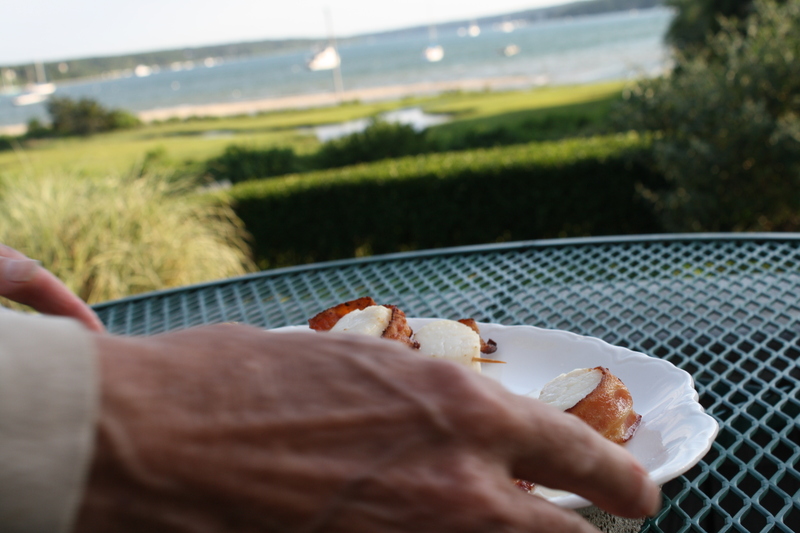 I secured the bacon to the scallop with a patriotic tooth pick. 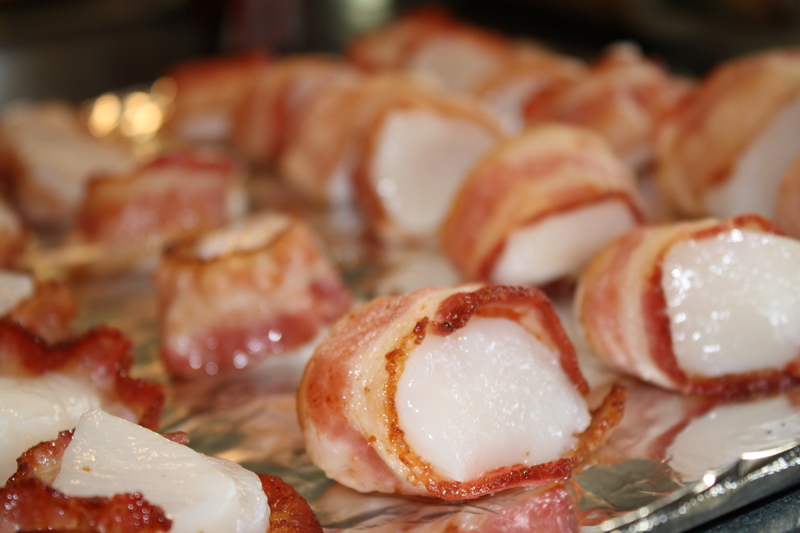 Once all of the scallops had been wrapped, we put them in the oven to broil for 6 to 10 minutes on each side. 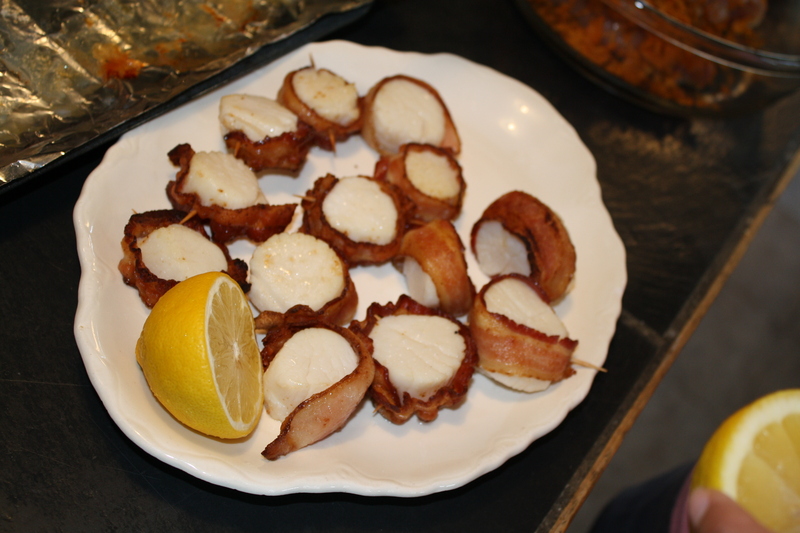 When the scallops started to brown, we took them out of the oven and plated them with a lemon. We couldn’t keep our hands off them. They’re the best! 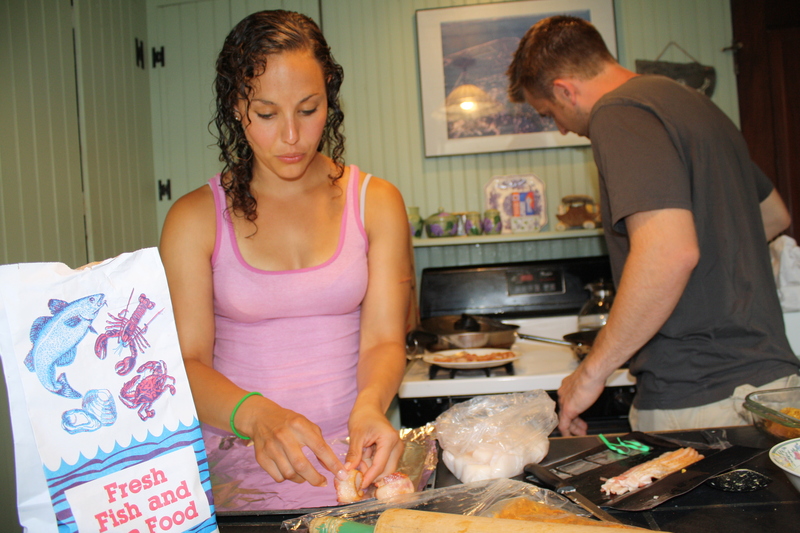 We get fish from there every time we’re on the island! 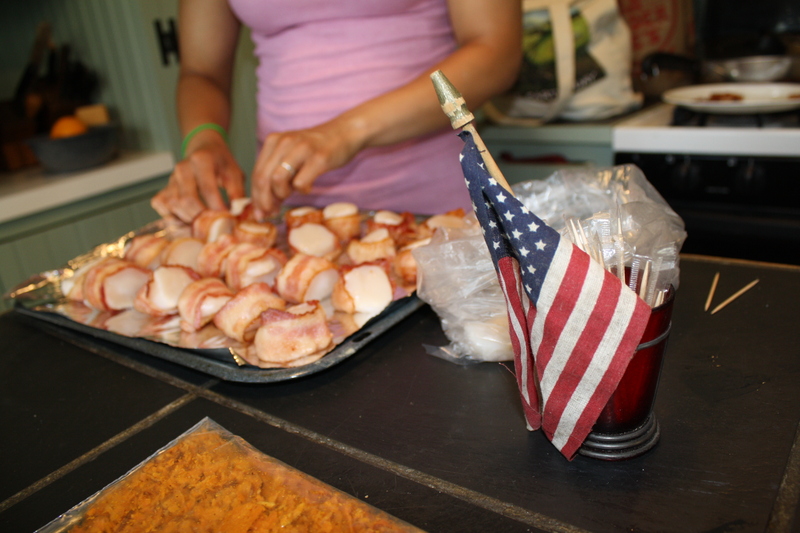 What a great family tradition, and a great recipe too! thanks for sharing it with us!! 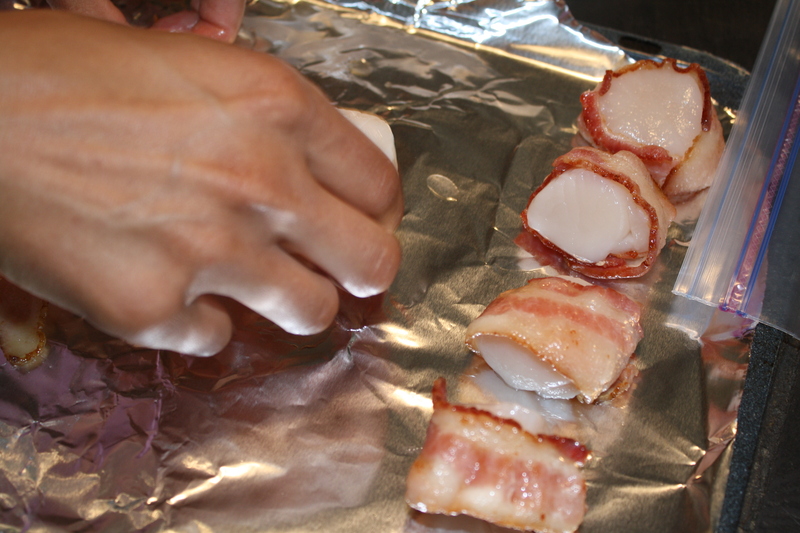 A well-known restaurant in Galveston, TX called Gaido’s does a wonderful scallop, shrimp and bacon dish. Only difference is theirs was skewered alternately with shrimp and the bacon pieces, drenched in butter and then char-broiled. Your dish reminds me of theirs. These look good and sure easy enough. I’ll have to try yours soon! Thank you! 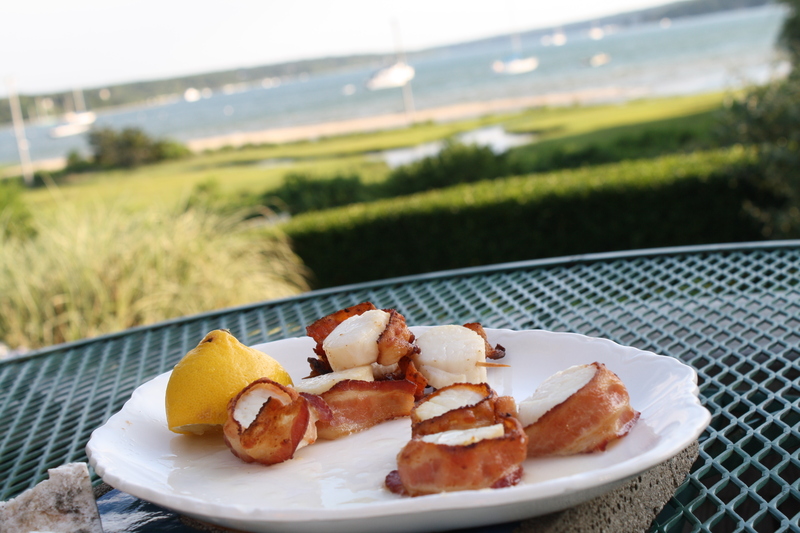 Skewering the bacon and scallops sounds like a great idea– maybe with thick chunks of bacon!